The Windsor Spitfires celebrated 10 years of exciting OHL hockey at the WFCU Centre on Thursday night when the West Division rival Sarnia Sting paid a visit. A venue that has served as home to some of today’s NHL’s brightest stars including defending NHL MVP Taylor Hall (New Jersey Devils), dynamic blueliner Ryan Ellis (Nashville Predators) and fan favourite Adam Henrique (Anaheim Ducks), the WFCU Centre featured a crowd of 4,430 on hand for Thursday’s contest that saw the visiting Sting skate to a 5-4 overtime win. The Spitfires welcomed back former back-to-back Memorial Cup champion and past captain Harry Young as well as 2017 Memorial Cup champ and reigning OHL Goaltender of the Year Michael DiPietro of the Ottawa 67’s for the celebration. The two were on hand for a ceremonial puck drop before DiPietro stopped by YourTV’s broadcast booth for an intermission chat with Spits voice Chris McLeod. The WFCU Centre opened its doors on December 11, 2008, replacing the 84-year-old Windsor Arena as home of the Spitfires. 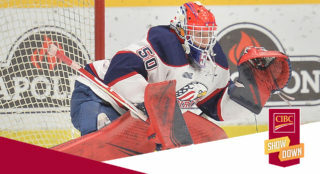 Mike Murphy registered a 34-save shutout on opening night in the new facility, backstopping the Belleville Bulls to a 4-0 win as Eric Tangradi scored the first OHL goal in the building. Dale Mitchell would score the first-ever Spitfires goal at the WFCU Centre on a 2-1 win over the Guelph Storm on December 4th. 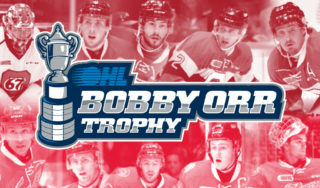 The Spits have gone on to hoist the J. Ross Robertson Cup as OHL Champions twice inside the building, doing so in 2009 and 2010. 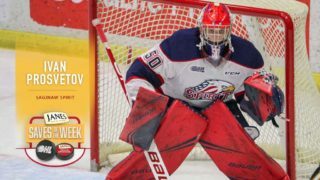 While they went on to win Memorial Cup titles in each of those seasons, they captured the CHL’s national championship on home ice in 2017 behind an outstanding performance from the tournament’s top goaltender Michael DiPietro. 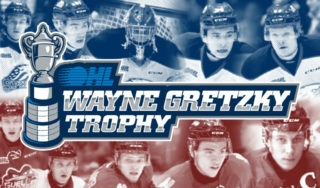 In a current poll at windsorspitfires.com, Spits fans have voted overwhelmingly in favour of the 2017 Memorial Cup title as their favourite memory at the WFCU Centre, edging out the club’s 2010 Western Conference Final comeback victory over the Kitchener Rangers after falling behind 3-0 in the series.